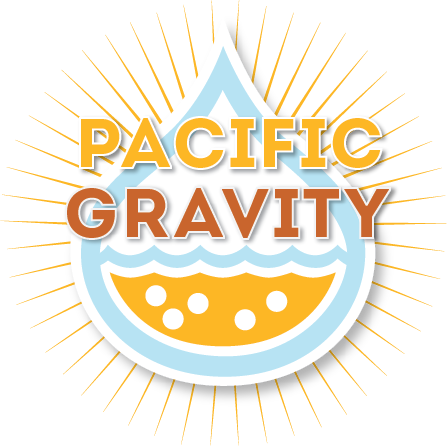 Pacific Gravity is a home brewing club on the westside of Los Angeles, California established in 1995. Our club meetings are on the third Thursday evening of each month during which members share their home brewed beers, ciders, and meads, and we provide commercial beer tastings and other educational exercises. Annual dues are $36 per year for individuals, $54 per year for couples. We also have an associate membership for out-of-towners of $18 per year. NOTE: You must be 21 years of age or older to join Pacific Gravity. We do not encourage or support underage drinking! Lots of great homebrewed beer! Beer tastings of both commercial and home-brewed beers. Sign up in person at Culver City Home Brewing Supply or contact us by email to arrange an orientation visit to our next monthly club meeting. We’re also active and available for chat on Facebook at http://www.facebook.com/PacificGravity .